If you find yourself dealing with the complexities of a family law dispute in New York, such as a divorce or child custody battle, you'll need to be sure that you have a full understanding of your rights and responsibilities before you sign any documents as a client. The more confident you feel about the process that you're taking part in, the more you'll be able to make decisions that you feel comfortable with about your future. As a divorce attorney, Mr. Darren Shapiro will always provide his clients with something called a "Clients Rights and Responsibilities" document, which is prescribed by the Appellate division, and delivered at the initial conference before such time when a retainer agreement can be signed. In this article, you can find a link to the complete Statement of Client Rights and Responsibilities, but you can learn a few things that you should know about this form here first. When a child custody lawyer or family attorney like Mr. Shapiro provides his clients with this document, it's designed to give them a vision of what they're entitled to in the eyes of the law. Additionally, the form can also outline what is expected of the client as they enter into a legal case. It's worth keeping in mind that it is within the rights of a client of Mr. Shapiro or any other divorce attorney to speak to their family law professional if they're feeling concerned or unsure about the way in which their case is addressed. Mr. Shapiro will always strive to make himself available to the needs of his clients. Every client of a child custody lawyer, divorce lawyer, or family law professional like Mr Shapiro has certain rights. For instance, a lawyer can never refuse a case presented by a potential client on the grounds of sexual orientation, gender, creed, colour, disability, race, or any other protected factor. What's more, all clients are entitled to a divorce attorney who understands their case and has the background knowledge required to represent them effectively in court. Your lawyer should be able to provide you with a considerate and professional experience, and they must be able to provide a retainer agreement which outlines the nature of your legal relationship. 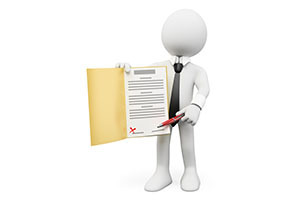 Before you decide to sign any agreements make sure that you understand the terms offered within completely. Family law clients will always have the right to refuse agreements that they feel unhappy with. Fees can be a complex matter to discuss for a divorce lawyer’s client. Mr. Darren Shapiro always does his best to offer fair prices, but it will be up to you whether you're willing to accept the cost at the end of the day. Additionally, it's worth remembering that a divorce lawyer cannot request a retainer fee that is non-refundable, and clients must have the opportunity to decide whether they would rather not use their attorney before a retainer has been used. What's more, a child custody lawyer or divorce professional might withdraw from a case before a retainer has been used in some circumstances. However, you may find that your lawyer does ask you to enter into an agreement for a reasonable "minimum" fee, which indicates that you will pay a specific amount regardless of what happens in your case. Divorce lawyer clients will also have the right to know at least an approximate insight into the number of lawyers and legal staff who will be working on your case on any given time, and how much you will need to pay for the services rendered. You can also ask your divorce attorney in advance how the retainer money you offer will be spent, and it's sometimes possible to get an estimation of approximate costs that may be encountered during your case, but divorce attorneys will need plenty of time to come to terms with the nature of your case and what might need to be done to represent you inside the court, or even outside of it in a mediation or collaborative law agreement. As a client of a divorce lawyer like Mr. Shapiro, you should be entitled to an itemized bill of the costs incurred for your legal support once every sixty days. However, it's important to remember that you also have responsibilities to adhere to as a divorce lawyer's client too. For instance, you'll need to ensure that you're as truthful as possible in any discussion you have with your attorney, and you'll need to provide documentation or information to your lawyer that might be relevant to your case to ensure that he or she can be as prepared as possible. While your child custody lawyer or divorce attorney might give you advice on what you can do in your case, it's important to remember that you can always speak to review attorneys about the other options you have available. Additionally, it's also worth noting that you will always ultimately have the right to make the decision on what you're going to do next inside or outside of court. What's more, remember that you are never under any legal obligation to sign a confession of judgment or promissory note, and you will always be entitled to the highest level of care from a professional like Mr. Shapiro. To learn more about your rights and responsibilities as a family law client, contact Mr. Shapiro today either through his online form, or over the phone via 516-333-6555.